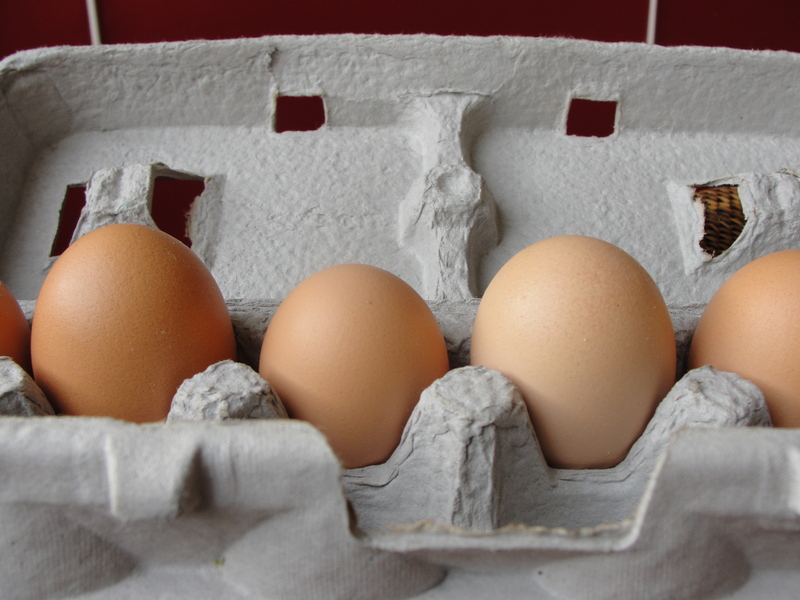 Let’s start the morning with a shot of some beautiful, homegrown eggs. Cage free and totally enchanting with their varying shapes and colors. They were a most special gift from some good friends who are raising chickens of their own and I could not wait to use them. It is a rather easy recipe, but does require that you have the special no sodium ingredients on hand. The dish can be served for any meal of the day, is a crowd pleaser with sodium normal folk, and is great as leftovers. Just don’t broil it the next morning like I did unless you like the taste of charred chard. 1. 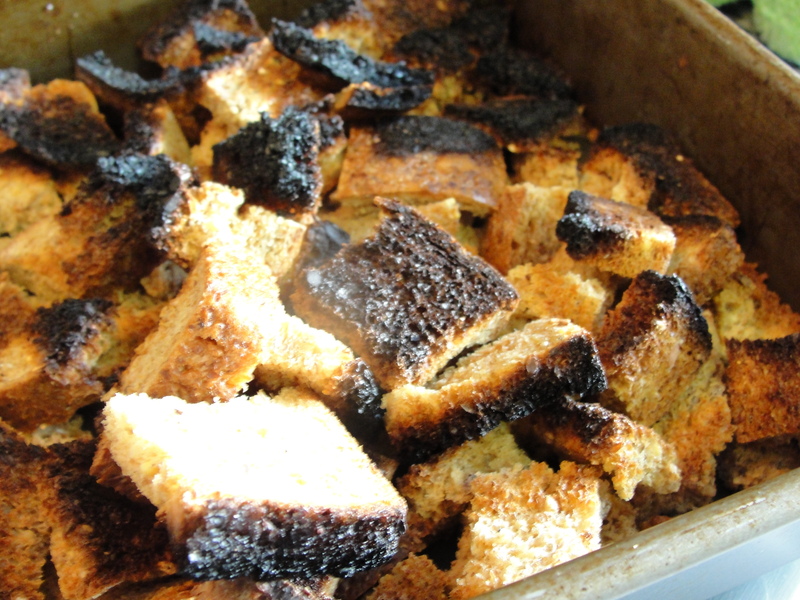 Set oven to 350 degrees and when hot, toast the diced bread until cripy. Just keep your eye on it. We all make mistakes. 2. In a pan, heat olive oil and cook leek and onion for 3-5 minutes until softened. Before taking the pan off the heat, add a dash of champagne vinegar to the leeks and onions and cook for two more minutes until liquid has evaporated but the flavor still lingers. 3. 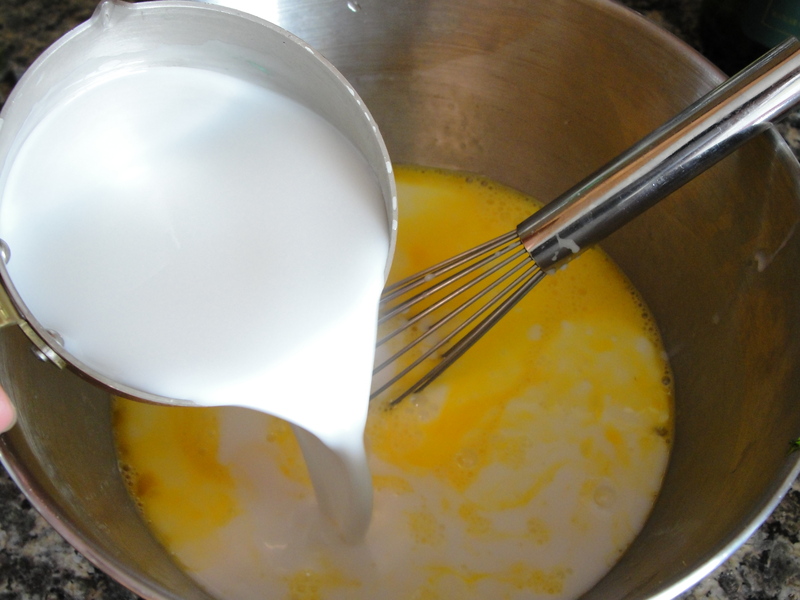 In a mixing bowl, whisk eggs until blended. Add milk, pepper, nutmeg, ground mustard, and dash of balsamic vinegar. 4. 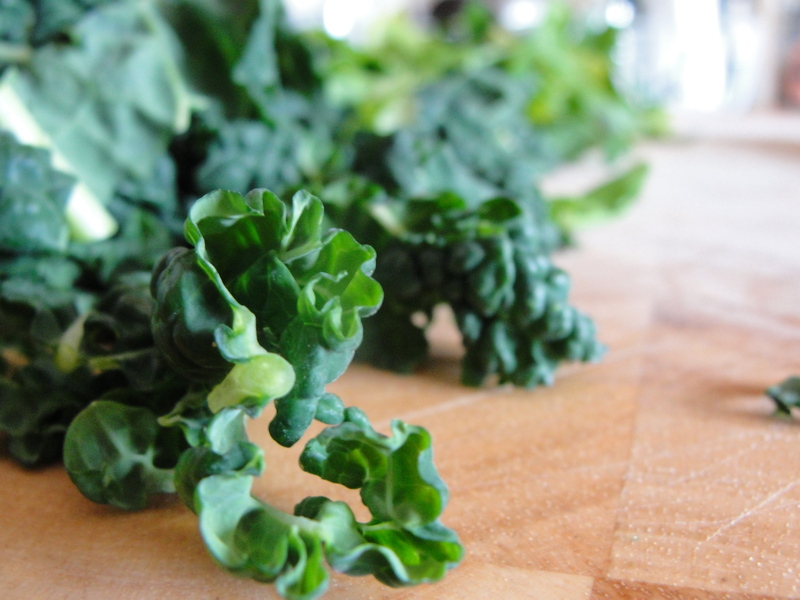 Chop your braising greens and fresh herbs. Add them to the custard mixture from step 3 above. 5. Combine all ingredients in the baking dish so that the custard comes right to the highest piece of bread but does not completely cover it. You will have to do some bread/custard shifting with a spoon or spatula and most of the bread will rise to the top. 6. Bake in oven for 1 hour. Be patient. 7. 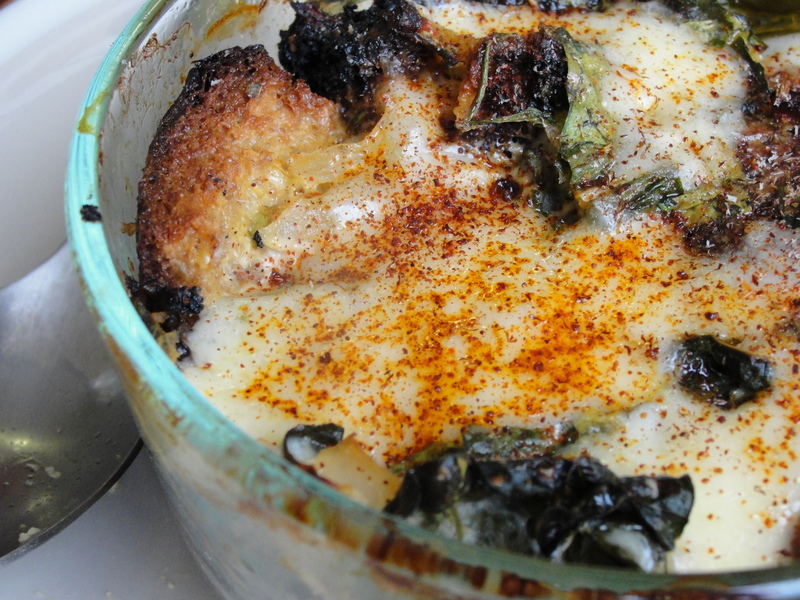 When eggs have become soft but firm, crumble your cheese on top and put back in the oven for another 10 minutes. 8. 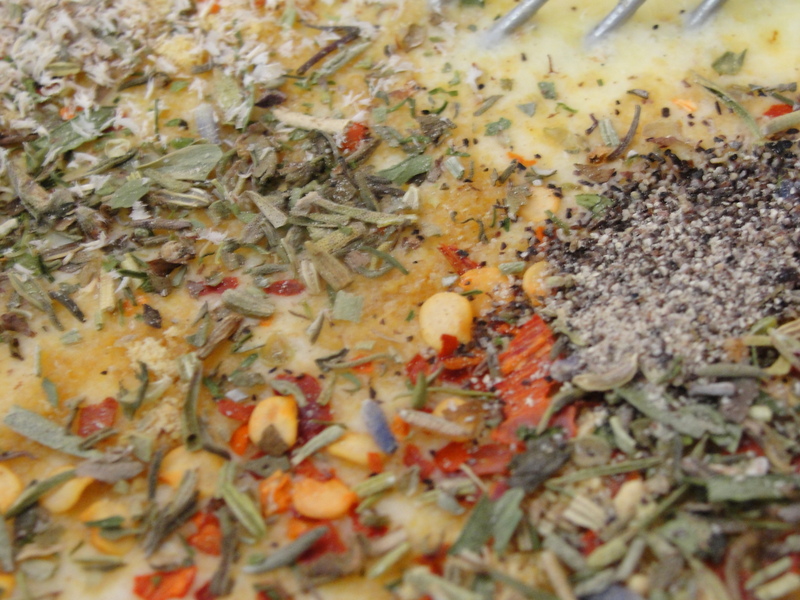 Before serving, dust the top with a little more black pepper, more ground nutmeg, and a pinch of chipotle chili powder. Drizzle flavored oil on the top as well, like truffle or blood orange, to give it extra zest. This looks SO delicious! You are making me hungry.